The late 1870s and early 1880s were watershed years in the history of French painting. As outgoing economic and social structures were being replaced by a capitalist, measured time, Impressionist artists sought to create works that could be perceived in an instant, capturing the sensations of rapidly transforming modern life. Yet a generation of artists pushed back against these changes, spearheading a short-lived revival of the Realist practices that had dominated at mid-century and advocating slowness in practice, subject matter, and beholding. 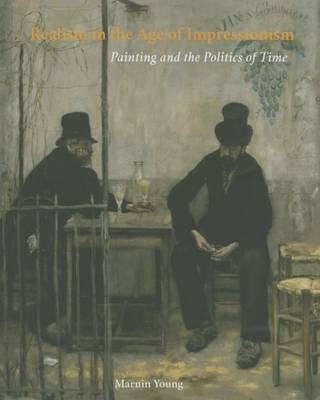 In this illuminating book, Marnin Young looks closely at five works by Jules Bastien-Lepage, Gustave Caillebotte, Alfred-Philippe Roll, Jean-Francois Raffaelli, and James Ensor, artists who shared a concern with painting and temporality that is all but forgotten today, having been eclipsed by the ideals of Impressionism. Young's highly original study situates later Realism for the first time within the larger social, political, and economic framework and argues for its centrality in understanding the development of modern art.